Guaranteed Acceptance Life Insurance - Is It For You? Guaranteed Acceptance life insurance can be an attractive option for people who haven't been fortunate enough to get onto a regular life insurance plan. Anyone can be accepted onto this type of policy regardless of health status or age. 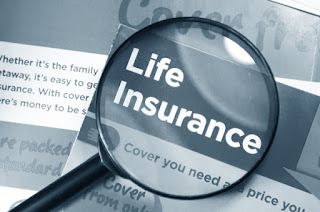 There are no medical examinations or health questions, however there are pros and cons to any policy and Guaranteed Acceptance Life Insurance is no exception. The main obvious advantage as we have already discussed is that you can't be turned down for an application due to health or lifestyle issues. With other policies you may have to answer some health questions and/or have a medical exam as part of the application process. With the guaranteed acceptance policy, there are no questions asked, as long as you pay the premium costs you are covered, and the company does not have the right to cancel the policy. This means your policy will stay the same rate even as you get older. One of the biggest disadvantages to buying a guaranteed acceptance policy is that the premiums you have to pay tend to be considerably higher compared with other types of life insurance. This is because by accepting everyone who applies, the company is taking a bigger financial risk and could end up paying out more in claims than a company who only insures lower risk customers. Another substantial disadvantage is the payout amounts, which often fall significantly short of payouts you would expect from other life insurance policies. There is usually a maximum payout amount of around $15,000 - $20,000, and many policies only offer enough to cover funeral expenses. Even with the maximum payout, it is unlikely this will replace the insured persons income for a number of years or pay off the mortgage. It is vital to find out the total cost of the premiums you will be paying before you opt for this type of life insurance as some polices may lead you to pay out more than your beneficiaries would receive. Although this policy is describes as guaranteed acceptance. this is sometimes misleading, as for most policies of this kind there is often an age restriction, generally from 50 ? 85. This isn't generally too much of an issue as it is this age group that typically has the most difficulties in getting regular life insurance. Many polices of this type also have what is called ,graded benefits. during the first couple of years. For example if the insured dies within the first year the beneficiaries may only receive a refund of the premiums paid plus only 5/10% of the interest. This method is used so insurance companies are protected from people who are close to death buying policies when they wont be paying into the plan for at least a few years. There are some plans however that will pay the full death benefit in the first couple of years if the death was accidental. As you can see there are many more disadvantages to this type of policy than advantages and it is only ever used as a last resort if you cant get any other type of policy due to poor health, age or circumstances. If you are in this position it can be a sensible option as long as you make sure you are getting a good deal. The best way to do this is to go on a comparison website, of which there are many, where you will be asked to only enter in your name, address, and beneficiary. You can then get quotes and compare them for the best rate for you. Make sure you read all the policy terms and conditions before you commit to buying a policy.